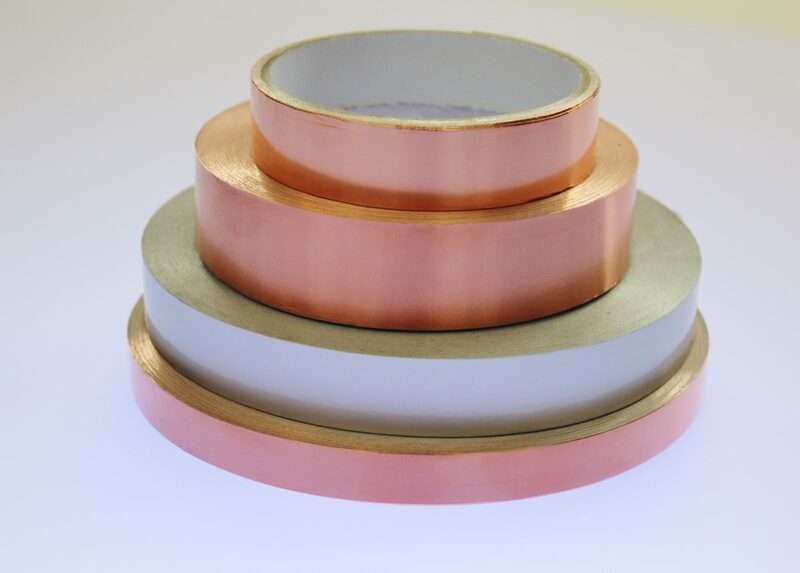 EMI are pleased to be able to offer a wide range of conductive foil tapes designed specifically for EMI/RFI, ESD and Grounding applications. We have further developed these basic foil tapes into a range of conductive masking products including tapes and gaskets which we call “Bake and Peel”. F384 – High tensile Copper foil, readily accepts solder. F385 – Tin Clad Copper foil, readily accepts solder, corrosion resistant. F386 – High tensile Aluminium foil, high conformability for complex and intricate applications. F577 – High tensile copper foil, which readily accepts solder and uses a Carbon adhesive for low a low cost solution.